Charles Spurgeon thus challenges preachers to regard any part of the Bible as a place from which to preach Christ, including (we presume) Deuteronomy, Job and Jonah. But how many sermons on Deuteronomy or Job have your heard in evangelical churches, and how many on the gospels, Acts or epistles? A brief survey of sermons published on the web in the UK in the last year suggested that 90% of sermons even in churches that follow a systematic Bible-based programme are based on New Testament texts. So only one in ten sermons is based on over three-quarters of the Bible. This is not surprising. The gospels especially have a special attraction for Christian preachers who rightly want to “preach Christ”. The Old Testament includes lengthy historical, ethical and prophetic books that are intimidating to most preachers. A preacher may want to preach more Old Testament, but fear the reaction of their congregation if they do. The Old Testament spans a much greater period of history, and therefore raises many more questions of culture and interpretation, than the New. The Old Testament has been on the receiving end of greater criticism of its historical reliability than the New: did Noah’s flood happen, or the Exodus, or Jonah’s escape from the fish, or Job’s suffering? The God of the Old Testament is accused of being violent and moralistic, where Jesus in the New Testament is seen by contrast as merciful and liberating. Nonetheless I have personally found it deeply enriching to my love of Christ to preach often from the Old Testament, and I believe our congregation have felt the same! In the church of which I became pastor a year ago, we have enjoyed series in Daniel, Ruth, Genesis 12-20 and the early Psalms. Then, having completed a series of seven sermons on Ecclesiastes this autumn prior to Advent (which itself presents so many canonical prophetic opportunities, especially in Isaiah 7-12), we embark upon Exodus 1-18 through New Year and Lent to Easter. Even so I find we only preached about 30% of sermons this year from Old Testament texts, but it has been a healthy step in the right direction. Jesus and the apostles preach from it. Jesus came, the Synoptic gospels agree, to proclaim the good news of the kingdom of God. Although it can be debated exactly what that entailed, it seems a good place to start to examine the recorded teaching of Jesus in the same gospels for the detail. Matthew especially is generally agreed to place special emphasis upon Jesus as a teacher/preacher, and to be perhaps a manual for pastors/preachers to follow. So how does Jesus preach according to Matthew? Often by reference to or explanation of the Old Testament, and most clearly in the Sermon on the Mount (chapters 5-7). Here it is that Jesus importantly preaches, “Do not think that I have come to abolish the Law and the prophets: I have come not to abolish them, but to fulfil them” (Matthew 5:17). Jesus interprets the Law in new ways, bringing ‘new wine’ as well as continuity. He does not simply parrot Scripture without explaining its true meaning, but like the apostles in Acts later, Jesus preaches from His “Bible”, the Old Testament. The gospel is revealed in it. Paul says that the Scriptures are God-breathed and able to make us wise for salvation (2 Timothy 3:15-16). Jesus says that the Scriptures “testify about me” (John 5:39). Although there is some debate amongst evangelical theologians about how assiduously one should “Look for Christ” in every Old Testament text, it is clear not only that the gospel is in the Old Testament but so is Christ. The rediscovery of Biblical theology as a discipline in the last generation has recovered confidence that the whole Bible points to God’s saving work in Christ. On the road to Emmaus Jesus opens “the Scriptures” (the Old Testament) to his disciples, beginning with Moses and all the prophets to show what they said “concerning himself” (Luke 24:27, 32, 44-45). The gospel pattern of human fall and divine redemption is repeated again and again in Genesis-2 Kings and epitomised in the experiences of the Psalmist, Job and many others. The search for a king and a restored kingdom for God’s people emerges in Samuel and the prophets, and leaves us with the longing for Christ. Adam, Moses, Joshua, David and others act as “types” that prepare us for Him. So preach the Old Testament with Christ as the “prism” (Sinclair B Ferguson’s happy image2) and the gospel will shine from it. The New Testament is interpreted by it. The gospel is impoverished without it. It was the early church teacher Marcion who tried to argue that Christianity does not need the Old Testament, and that attempt to cut loose from Scripture’s moorings found sinister embodiment last century in Hitler’s anti-Semitic ideology. Modern versions of Marcionism write off the Old Testament as portraying God as immoral and vindictive. So why can’t we just carry a New Testament in our pocket and do away with the Old? The answer? Because so many examples from the Old Testament highlight both the depths of human depravity and the heights of God’s grace that preaching them adds colour and beauty to the gospel of Christ. What does the fulfilment of a promise mean to us if we don’t appreciate what the promise was? How much more can we worship Christ as the antitype of Old Testament types if we preach those types and their fulfilment? How can we rejoice that men and women of faith such as Abraham, Moses and Rahab are justified and sanctified along with us by faith in the promised Saviour, as Romans 4 and Hebrews 11 tell us? The Old Testament gives us so many sparkling jewels that adorn the gospel’s crown and without which it loses its lustre. Brothers and sisters, let’s preach the Old Testament, and through it the gospel about Christ, and we will see God’s people become more wise for salvation. 1 C. H. Spurgeon, in a sermon entitled “Christ Precious to Believers” in “The New Metropolitan Tabernacle Pulpit”(Grand Rapids: Baker Book House, 1994 reprint). Posted on December 13, 2018 December 13, 2018 Categories Bible, Pastoral Ministry, Preaching, UncategorizedTags Old Testament, TrainingLeave a comment on Four reasons to preach from the Old Testament. Ahead of a sermon series on Ecclesiastes I gathered our preaching team to discuss its message and how to preach from this book. I had been heavily influenced by Derek Kidner’s excellent book, in particular his view of Ecclesiastes as preparing us for Christ through exposing the meaninglessness of this life. To my surprise, but confirming an unease I had about seeing Ecclesiastes as modern nihilism before its time, I was forced to rethink this interpretation by other material and by a closer look at the text. In preparing for the team session I sent round some notes, which reflected this question I have about the “Ecclesiastes as pessimist” approach and its accuracy to the text in context. Below is the content of the paper sent to our preachers. Any of the substantial commentaries review this question thoroughly. 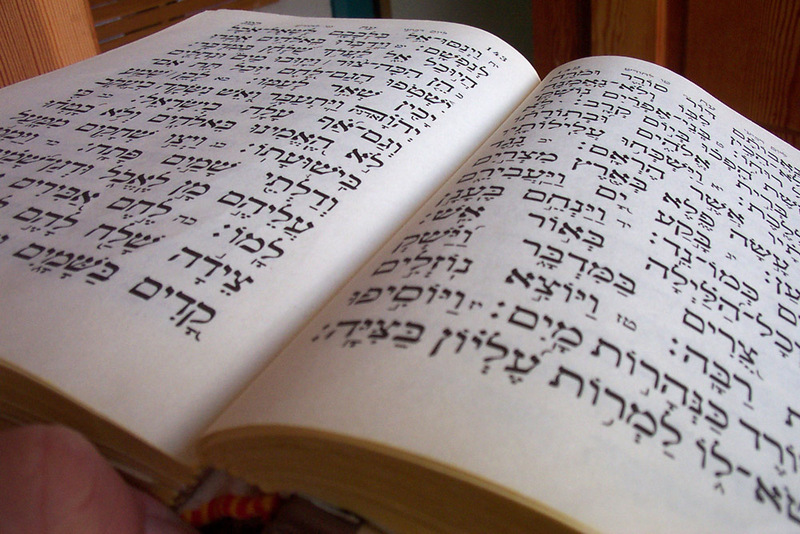 More sceptical writers assign the book to post-exile, pointing to its allegedly late Hebrew style and on the debatable basis of its sceptical message. However the royal/court language, and apparent context of a time of peace and blessing in Israel/Judah suggests rather that the origin is at least pre-exilic and perhaps close to or among the royal family. I am persuaded that the author could quite easily be Solomon himself, since the links between the themes and message of the book and the events recorded of his reign, especially in 1 Kings 4 and 8, are so strong. The closest link of the title “Ecclesiastes” (literally, “the gatherer of the people”) is also to Solomon in 1 Kings 8:1, 5, 22) (the verb “to assemble”; the noun “assembly” = qahal (Heb.) = ecclesia (Gk)). See the excellent article by Philip H Eveson who first reviews the history of interpretation and then gives his view of why the author is writing. Also the detailed work in Daniel C Fredericks (Apollos OTC). Ecclesiastes as apologetics: moving the hearer along a pathway towards conviction of their need of God (see eg Eaton, TOTC). Ecclesiastes as regretful testimony: Solomon in old age is repenting of living for this world and forgetting God. Again, the text as a whole does not seem to support this – 12:8-14 is not a contrast to the previous tone of the book but rather (in the third person now) a summary of its consistent message. Ecclesiastes as pessimism preparing us for hope (Kidner, Tremper Longman). Both authors, excellent in much textual commentary, take the view that Ecclesiastes is about the “meaningless” of life IF lived without God. Von Rad goes as far as to describe Qoheleth as a bitter sceptic, “suspended over the pit of despair”. This interpretation hinges on these writers’ (disputed) translation of the word “hebel” as meaningless (on which see below). Ecclesiastes as wisdom for the life of faith in the real world. It is written to be a corrective to naïve interpretations of the promises of Proverbs and Deuteronomy – the false teaching that there is a simple link of righteousness and blessing, “do good and God will bless you”. It is a reaction to simplistic views of the world of faith, rather as Job is to simplistic answers to the presence of suffering. Ecclesiastes is observing that it is not always so “under the sun”, in this life; but that does NOT mean that righteousness, the fear of God is not still the wisest and best course, or that much in this life is not to be enjoyed for its own sake. In support of this fourth interpretation, Eveson helpfully discusses the meaning of the key repeated word “hebel”. His argument, convincingly to me, is that it consistently means “transient/temporary”, “short-lived” or “vain”. It should not be taken to imply “meaningless” (as NIV unfortunately translates it). The related noun means “breath”. A great deal of how we read and preach Ecclesiastes hangs upon which way we go on this translation of the Hebrew, and as I understand it, the weight of evidence falls upon the meaning being “temporary/transient”, not “meaningless”. The two related phrases of Qoheleth, “under the sun” and “chasing after the wind” make this same point – not that life is pointless without God, but that this life is short – with or without him . Eveson makes the excellent point that, writing nearly 3000 years ago, we should not read his work as if coming from the pen of an enlightenment or post-modern philosopher musing on the “meaninglessness” of life – a very “modern” question. As Provan put it, “Qoheleth is not Camus”. Rather we should read him in historical and Biblical context as a writer of wisdom for life. He is teaching us how to order personal life and surroundings according to the teaching of Scripture. So we should almost certainly translate “hebel” as “transient” or “temporary”, and see the writer as giving us an honest evaluation of how life is experienced, as temporary and short-lived, despite its moments of joy coming from the goodness of God. The value of anything in this life is therefore real, but short-lived, and so there is nothing better than to “fear God and keep his commandments” in light of eternity. What are the main messages and themes? The creation and its fallenness. Contrary to some commentators, Ecclesiastes is full of references to other parts of the Bible, especially to Genesis 2 and 3. Creation is celebrated in its potentiality and diversity, but is also mourned over in its decay and transience. “Dust you are and to dust you will return” (3:20) directly seems to quote Genesis 3:19. The relevance of this today is multiple: it is a critique of materialism (the present is not our ultimate hope or home); also of the health and wealth gospel (God does not promise perfect life or health); it refreshes us that the Bible describes life not with rose-tinted spectacles (as sceptics accuse) but as it really is, a mixture of life and decay; it helps us to have realistic expectations of life and God, and so is an antidote to disappointment with God when things “go wrong”. Where is Jesus in Ecclesiastes? We have a gospel as NT believers and our task as preachers is to teach the message of the book (see some ideas on that above), and also how it points ahead to Christ. Jesus entered our fallen world and suffered its futility like us. He suffered death to take the curse of sin (mortality) on our behalf, releasing us from its ultimate grip and giving the hope of resurrection that makes the temporary and fruitless nature of this life look pale (2 Corinthians 4:16-18). So our realism is mixed with hope. This life, as Ecclesiastes says, makes us yearn with creation for eternity, for something that lasts, just as Romans 8:18-24 teaches. In Christ we know that redemption is coming not just for our mortal bodies but for all of creation, and it is secure through the love of Christ – nothing can separate us from the love of God in Him. We groan, but without yearning; we grieve, but not as those without hope (1 Cor. 15; 1 Thess. 4:1-12). The Preacher prepares us for the resurrection by making us face the brevity of this life. Eveson’s concluding section entitled “The Preaching” expands some of these ideas. Again much-debated: some say there is none owing to the repetitive/cyclic nature of material! Subsections are listed by commentators, totalling anything from 12 to 36! Fredericks gives a useful structure in around 13 sections. What are the best commentaries or articles to help preachers? David Gibson “Living Life Backward” – helpful on the frustration theme and NT fulfilment. Have you ever wished you had something to give a new Christian to read alongside the Bible, to encourage them in their faith and help them begin to live for Christ from a Christ-centred Biblical worldview? Over the years I have recommended countless good books 1:1 or from the pulpit, but I thought it was about time to be more intentional about this habit, for my own sake, and that of our church members. Maybe what follows will help you too. The idea of a “top ten” list (yes, I realise that such a thing is usually shameless marketing) came from a visit to Tim Keller’s Redeemer Church in Manhattan two years ago during a sabbatical. The service was thoughtful and deeply Christ-honouring, but one of my main take-homes came afterwards, over coffee a couple of floors up from the worship auditorium. An unremarkable folding table was set out to one side of the room, with a selection of books for sale, a couple of signs, and a friendly church member on hand. Keller had thought hard about the best books to start young believers with, and those to recommend later. I think that is incredibly good pastoral care, and am planning to introduce this wise approach when we move to pastor our new church in Norwich in the summer. So here are my ten “Read First” books, copies of which I’d have always on hand to give away or to sell. The order doesn’t mean much. In future posts I will suggest my “Read next” and “After those” selections. I hope this gets you asking what you would recommend to a new believer – and what you’d agree they should read, but only later. Let me know what you think. OK, I realise this depends upon how you define “expository”. If you mean that when you preach, every sermon should allow a text (or more than one) to set the agenda for what is said, then I’d have to agree that every sermon should be expository. “Expository” defined as the opposite of “thought for the day” or “context-driven” has to be right because it reflects the Bible’s presentation of preaching as coming as words “from God” not just “from the preacher’s head”. Expository as “exposing the sense of a Bible text” is (for me) a non-negotiable. That is surely true whether preaching evangelistically or to edify believers. All sermons should (in my view) be not only Christ-centred and gospel-rich (good news) but Bible-driven and derived from the Bible text they are based upon. My argument with expository sermons here is not that expository sermons can be boring, either, though they can. “Exposing” the text can become a dry lecture that fills the mind and doesn’t speak to the heart or will. But if I am boring, it is not the fault of the Bible or its logic – DM Lloyd-Jones called this kind of preaching “logic on fire”, and it should be! Others* have convincingly and rightly listed the benefits of “expository” preaching in the true sense of the word. But if you define “expository” more narrowly than that – as “preaching from the same book of the Bible in sequential order” then I’d argue that is not always wise as the long-term diet of a church family. The main diet, yes, but not the only. To say this may alarm those not from traditions like the Anglican one, where our lectionaries and feast days encourage us to mix it up. What about Charles Simeon and D.M. Lloyd-Jones, you asked, who (it is said) just “preached the Bible in order” and let the Word do the work? Biblical: The Bible doesn’t always work that way. I’m not arguing the textual critic point – that texts are out of order compared to their original composition – here. But some books of the Bible just to not lend themselves to preaching every part of a text in order. Maybe the text is repetitive (Revelation from Chapter 4 onwards, for example) and mirroring that in a sermon series is not going to do justice to the meaning. Maybe the text was not designed to be read aloud in sequential order in the way it is printed in our Bibles today (the Psalms, for instance, seem to be a collection of liturgical and pastoral songs to be sung, and who would argue we have to preach 1-150 in order, with no omission or cherry-picking?) Maybe the text was designed to be read for impact in one sitting, but expository preachers so often pride ourselves upon taking an inordinately long time to preach through a book (Romans, or Hebrews, are two letters many take years over, but I would put in the category of “read fast for impact and overall message”). Maybe the text lends itself to being linked with other similar ones that are not found in immediate proximity in the Bible (a series on the Parables, for instance). Pastoral: The people of God need help constructing a doctrinal framework for life. A member of our staff team recently asked why we do so many sermon series that don’t just “go through a Bible book in order”. The answer I gave is that the people of God need the preacher of God to help them see what the whole Word of God says about the mind and works of God. We might do this by digressing on doctrinal points when a text invites it (the Puritan John Owen did this when preaching through Hebrews) but that simply makes my point that only preaching what a text says is not always enough. We might also do it by preaching every text of the Bible over (say) a ten-year period, but how many church members will hear every sermon, and make the connections between them all? But we can certainly do this by preaching sermon series that teach “systematically” the truths of the Bible about God and the world. Over my seventeen years in my church we have typically included one or two series each year on themes such as Creation, God’s Attributes, the Cross, the Holy Spirit, The Church, Prayer, Personal Evangelism, A Theology of the City, Church Planting, Service and Ministry, Stewardship/Giving, Spiritual Disciplines, Desiring God, Seven Deadly Sins, Biblical view of Humanity, Temptation/idolatry. Apologetic: Seekers in our congregations need help grappling with big questions. These are stumbling blocks to hearing the gospel unless we address them. Some preachers find this comes more naturally than others (Tim Keller is especially good at connecting with the seeker and sceptic in his sermon series) but we all, I would argue, need to try. The obvious way is to pick up the big questions in one series every couple of years: The Meaning of Life, The Existence and Knowability of God, the Issue of Science and Faith, the Challenges of Religious Exclusivism, Hypocrisy and Extremism, the Problem of Suffering. We’ve also tried to connect with the non-believing culture when a public moment demands or offers an opportunity: debunking the Da Vinci Code when it was published, responding to publications from new atheists like Dawkins, or events like 9/11 or natural disasters. Such moments are on open door for the gospel. So there are three reasons why I don’t always preach sermon series through a section of the Bible in order. I could add that evangelistic sermons are better done from texts that clearly portray the heart of the gospel, and that even great preachers like Spurgeon did not preach from the same book of the Bible each week at all, though his sermons brilliantly expound the texts he chose. I am sure there are lots more reasons why preachers should stick to preaching through a text in sequence, and lots more why we should keep mixing it up. Let me know your thoughts. Those who hold as I do that the Biblical teaching on marriage is based on Genesis 2:24 , “That is why a man leaves his father and mother and is united to his wife, and they become one flesh” (Genesis 2:24, NIV), do not do so because we are being difficult or “fundamentalist”. We believe in taking the Bible literally – in the sense of meaning what the “letters” or words in it mean. We believe in interpretation of the Bible using the best tools of learning – but not to make a text mean what the author could never have meant. We believe in being aware of the culture behind a text – but not in changing the text to fit our culture. We believe in reading the Bible as a whole, taking note of its diversity – but not in using one part to contradict another. None of this absolves the Church from repenting that at times we have made gay people feel unwelcome – and for that matter, singles, or unmarried parents. All of us equally need the grace of Christ and the love of the Church, and we can start sharing these things today. But if Genesis 2:24 marriage is, as Paul says in Ephesians 5:31-32, not just a social convention, or a way to raise a family, but a sign of the union of Christ with His Bride the Church, it is surely right to defend its Biblical definition and value with every ounce of conviction that we have. Let’s pray for the bishops.